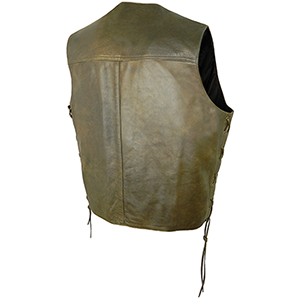 The latest addition to our Elite leather vest range, the brown Elite is now available as a tie side waistcoat. All the same quality features as the plain version - supple cowhide, cotton lining, strong button fastening, one inside pocket and two outside pockets with quality linings. 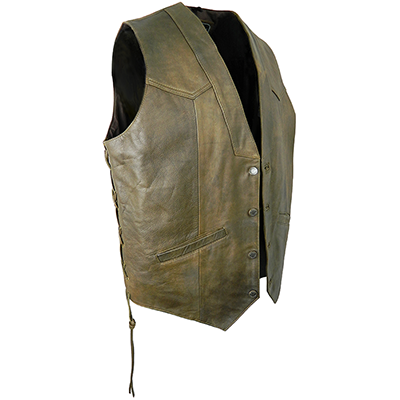 Plus leather ties down sides.